This is our improved verion softbag. The bagh as a hard plastic pad has been sewn in that protects extra the top and bottom. Inside and outside of the bag is soft. So a high wearing comfort for yourself and an excellent protection of your handpandrum. 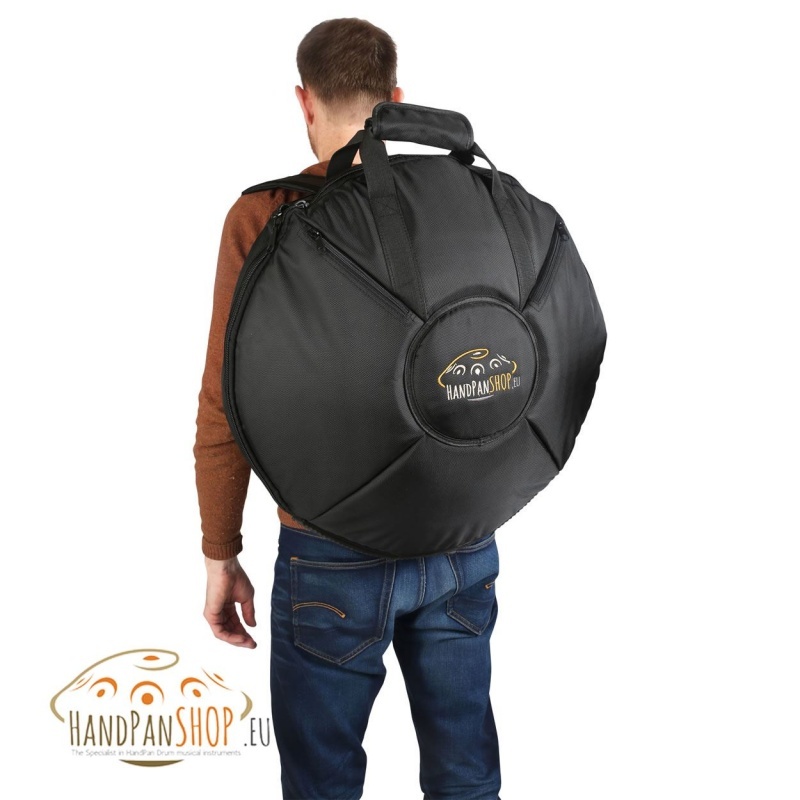 The bag has a good grip to grab and shoulder straps to carry the bag as a backpack. 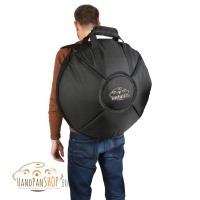 Suitable for hand pan drums up to 54 cm (and smaller) in diameter.